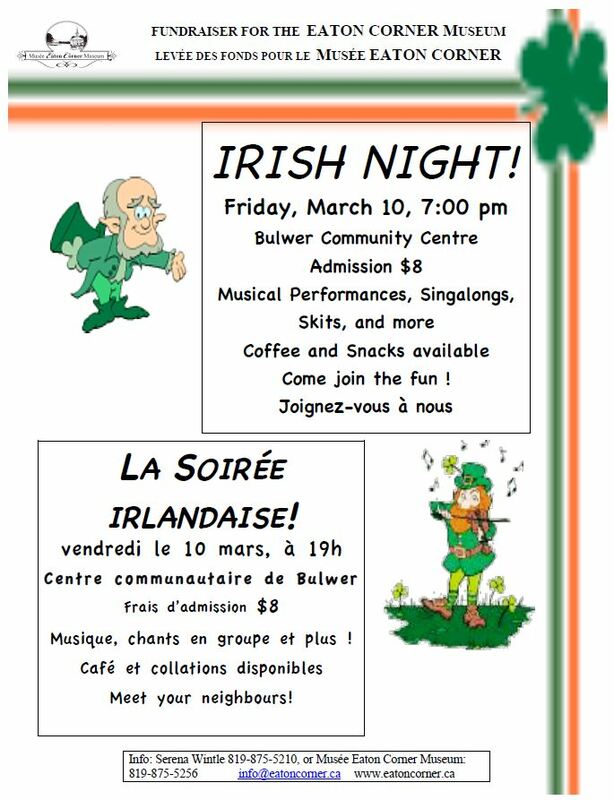 Friday, March 10, Irish Night, at 7 p.m. at the Bulwer Community Centre. Variety show of local talent to celebrate St-Patrick’s Day. Fund raiser for the Eaton Corner Museum. Snacks available.